Michael Rust was lead counsel for Rogers Electric in a $3M subrogation claim arising out of a fire in an ice factory which was tried before a jury in the Superior Court of Fulton County, Georgia and which resulted in a verdict in favor of my client. Michael Rust was lead counsel for The Atlanta Botanical Garden in 17 lawsuits arising out of the collapse of the “Canopy Walk” located on the premises of the Garden. After discovery and mediation all lawsuits were resolved with our client being released from all claims against it without having to contribute any money directly or through its insurance carriers to the settlement. Michael Rust was lead counsel for the Defendant insurer in this Declaratory Judgment Action in which Plaintiff sought in excess of $3M in attorney’s fees for defending against employment related claims in Mississippi. Summary judgment was granted to our client by Judge Horace Ward of the United States District Court for the Northern District of Georgia and was affirmed on appeal by the 11th Circuit Court of Appeals. Michael Rust was lead counsel for Defendant National Boiler in three lawsuits (two wrongful death and one catastrophic burn injury) arising out of the explosion of a black liquor recovery boiler in St. Mary’s Georgia which was litigated extensively for several years. Summary judgment was granted to our client shortly before trial and was not appealed. 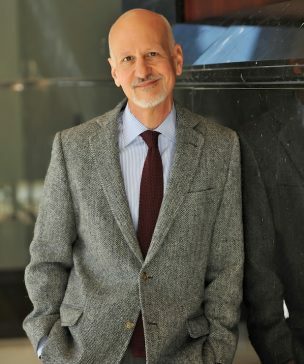 Michael Rust graduated from Emory University in 1980 and Emory University School of Law in 1983 where he was Notes and Comments editor of the Emory Law Journal (Law Review). Since that time, he has maintained an active trial practice in the state of Georgia both in State and Federal Courts, representing corporations and insurers in significant injury cases. Michael Rust’s areas of practice primarily concern wrongful death and catastrophic injury litigation, construction litigation, insurance coverage litigation and products liability litigation. Since 1983 Mr. Rust has handled numerous cases in each of these areas and obtained favorable results for his clients. Along with his partner, Matt Moffett, Mr. Rust authored the Agency Section of West Publishing’s Georgia Employment Law Treatise. Mr. Rust has received AV rating (the highest rating) from Martindale-Hubbell and since 1999 has been voted a Georgia Super Lawyer.